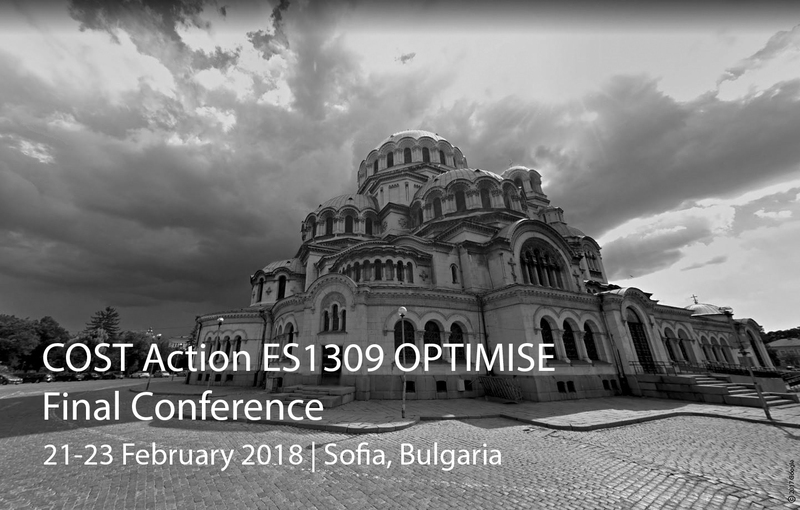 The COST Action ES1309 OPTIMISE Final Conference will take place on 21-22-23 February 2018 in Sofia (Bulgaria) and is hosted by Rumiana Vatseva from the National Institute of Geophysics, Geodesy and Geography of the Bulgarian Academy of Sciences. The meeting will focus on recent advances on innovative optical tools for proximal sensing of ecophysiological processes carried out within OPTIMISE COST Action and is open to worldwide researchers from the remote sensing, proximal sensing and carbon flux communities. Confirmed Keynote Speakers: Laurie Chisholm (University of Wollongong, Australia); Nicholas Coops (University of British Columbia, Canada); Edoardo Cremonese (Environmental Protection Agency of Aosta Valley, Italy); Kaiyu Guan (University of Illinois, USA); Timo Vesala (University of Helsinki, Finland); Pablo Zarco-Tejada (European Commission, Joint Research Centre), Stefan Metzger (National Ecological Observatory Network – NEON, USA). The number of participants will be limited. Participation will be filled on a first-come, first-served basis. Please contact the Organising Team (optimise.finalconference@gmail.com) before registering, if you wish to participate.